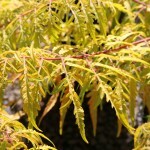 A slow growing, upright, rounded shrub with lacy, golden yellow foliage. Fall color is scarlet-orange and yellow. 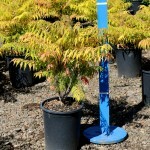 Grows best in full sun to part shade in a well-drained soil. 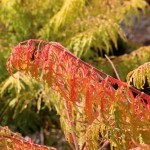 This is a dramatic specimen, focal point, or in a mass planting. A First Editions® selection. PP 16,185.